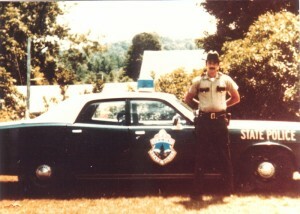 The Department grew to 193 State Police and 85 civilians by June 30, 1970. E.W. Corcoran was appointed the new Commissioner of the Department of Public Safety on July 1, 1970. The early 70’s saw the Crime Lab expanded to offer forensic chemistry. The first civilian, a chemist toxicologist, began to replace sworn police officers in the crime lab. A mobile crime laboratory was constructed to provide forensic services in the field. The Department had six undercover officers in the 1970’s. Long hair, dirty jeans, and thong sandals provided cover while they worked the world of drug culture. Executive Order Number 35 issued in May, 1971, turned the Pittsford Sanatorium over to the Department for use as a law enforcement training facility. A Canine Unit was established to provide patrol dogs. The Department had only tracking bloodhounds before this. The Identification and Records Division changed its name to the Vermont Criminal Information Center and became the official state repository for all criminal records, photographs, descriptions, and fingerprints. Capturing of this data was all done manually; not until 1976 was computer equipment purchased which allowed statewide access to the information. Data requests averaged 40 a day in the 70’s compared to the current 271,000! The Department hired the first two women Troopers in 1976. 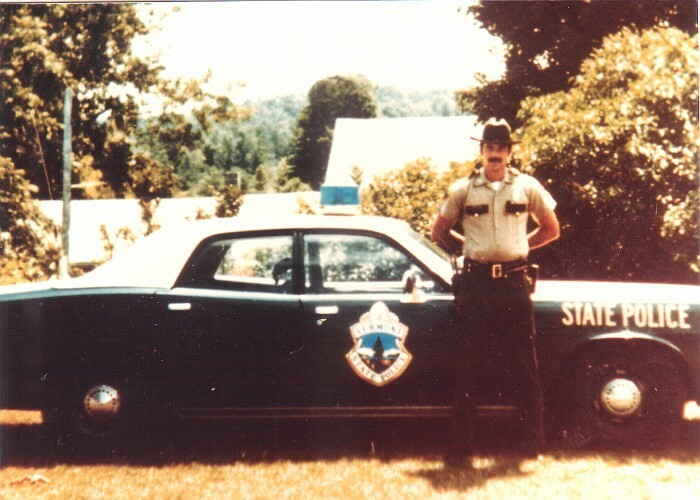 Although the number of women fluctuated during the years, there are a total of 20 female Vermont State Troopers, encompassing various positions to include BCI, Child Abuse and Neglect investigators, training and recruitment, arson investigator, patrol commander, and patrol Troopers in 1998. Federal funds allowed for the creation of an Interstate Troop in 1977 to provide the speed enforcement of the 55 mph program. The 70’s also saw the organization of a fraud unit to investigate white collar crime as well as a scuba dive team to recover drowning victims or evidence. The Fire Prevention Division was abolished and its functions transferred to the Department of Labor and Industry. An Arson Unit was formed with the responsibility for investigation of all suspicious fires in the State. By the end of the decade the State’s population had grown to 477,427. There were 383,108 registered vehicles and 352,715 licensed drivers. 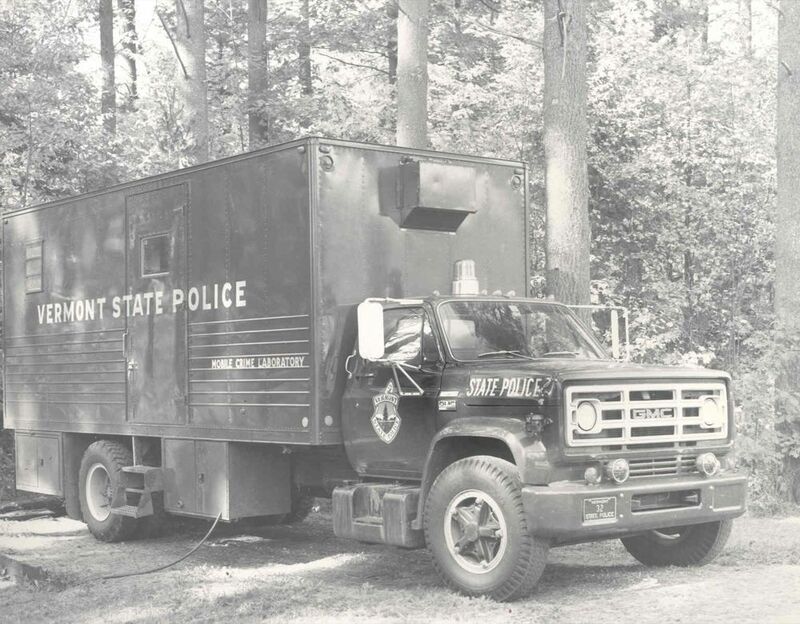 Department strength grew to 259 State Police and 120 civilians. The late 1970’s and early 1980’s saw a rapid succession of commissioners: Francis E. Lynch (1977 – 1979); Warren Cone (1979-1980) and, for a short period of time, Commissioner Baumann returned to the ranks.